One of our rose bushes, an old garden variety. There are tons of rose varieties, from old heritage roses, to modern hybrids. 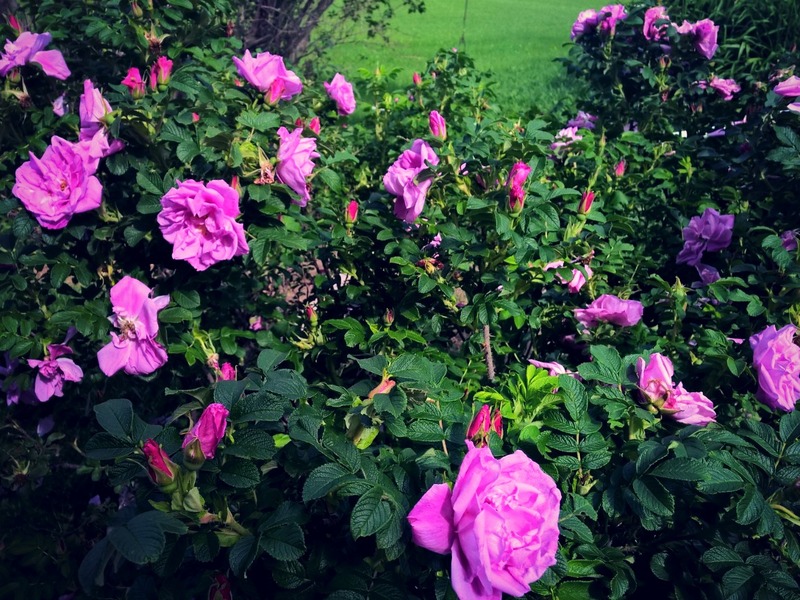 In general, the modern hybrids seem to be best used for ornamental purposes, while wild and heritage roses have the best fragrance and medicinal value. No matter what kind of rose you can find, if you are going to use them for rose petal extract, be sure it hasn't been sprayed with any chemicals. HelpMeFind has tons of photos and information about roses. Heritage Rose Identifications from the Heritage Roses Group, a group whose passion is dedicated particularly to roses cultivated prior to 1867. The Old Garden Rose Blog at Rose Petals Nursery has many posts about roses, their uses, and caring for them. The University of Illinois Extension has lots of great information about types of roses at Our Rose Garden. The Wild Roses by, Ray Allen, describes different types and availability of wild roses. Which Types of Roses Are Right for Your Garden? from Craftsy outlines three basic types of roses. Roses can be used in so many ways, from rose hip jelly to rose petal tea, but today, we are going to focus on Rose Petal Extract. Rose petal extract is made by soaking rose petals in an alcohol solution to extract the alcohol soluble principles present in rose petals. Make your own beautiful smelling rose petal extract. You will want an abundant supply of rose petals to make this recipe. Choose a variety that is very fragrant. I usually tug on the petal of a flower, and if it comes off easily, I pull all the petals off, leaving the hip behind. I used a half gallon sized jar, filled about 1/4 full of rose petals. Pour in the alcohol, and then fill the jar the rest of the way with water. Allow the mixture to steep in a cool, dark place for a week. At this point, I usually like to filter out the spent petals, and add a couple more handful of new petals, allowing the mixture to steep again. If you do several changes of petals, you'll get a much more fragrant extract. You can then filter the extract well, and store in a cool, dark place. Honestly, I don't know how long it keeps, because I use it up pretty fast. Extracts tend to have a very long shelf life, however. If you'd like to spray it on your skin, you can add a splash of raw apple cider vinegar to it, and put it into a spray or squeeze bottle. Apply to the skin after bathing. It's very nice sprayed all over the body on a hot day. Rose petal extract will give your skin a nice scent, without being overpowering. To take the extract internally for headaches, digestive, or menstruation issues, adults should put 10 drops of the extract into a cup of water and drink. This dose can be taken 3-4 times per day. Remember, if you will taking the extract internally, you should steep your roses in vodka, not isopropyl alcohol. Isopropyl alcohol is not safe for consumption. 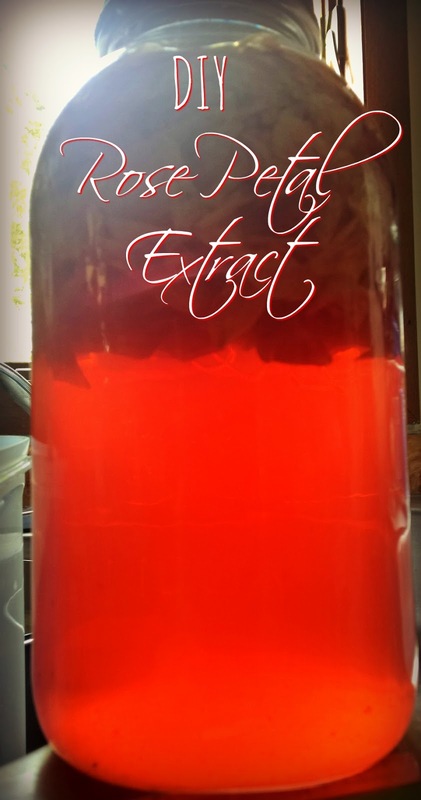 If you make Rose Petal Extract, please let me know how it turns out in the comments! Interesting about the rose pill during the plague! sharing and pinning. This will go nicely in meringue cookies!